What new disease are mosquitoes carrying this year? It won't matter to you if you're carrying a Thermacell® Mosquito Repellent Device. No messy wax. No greasy sprays or lotions. Thermacell® Appliances work by heating a mat saturated with a special ingredient from a flower that mosquitoes hate. As the mat is warmed, the skeeter-fighting ingredient is released into the air, offering you a 15' radius of protection. Updates on the original that make it even better. 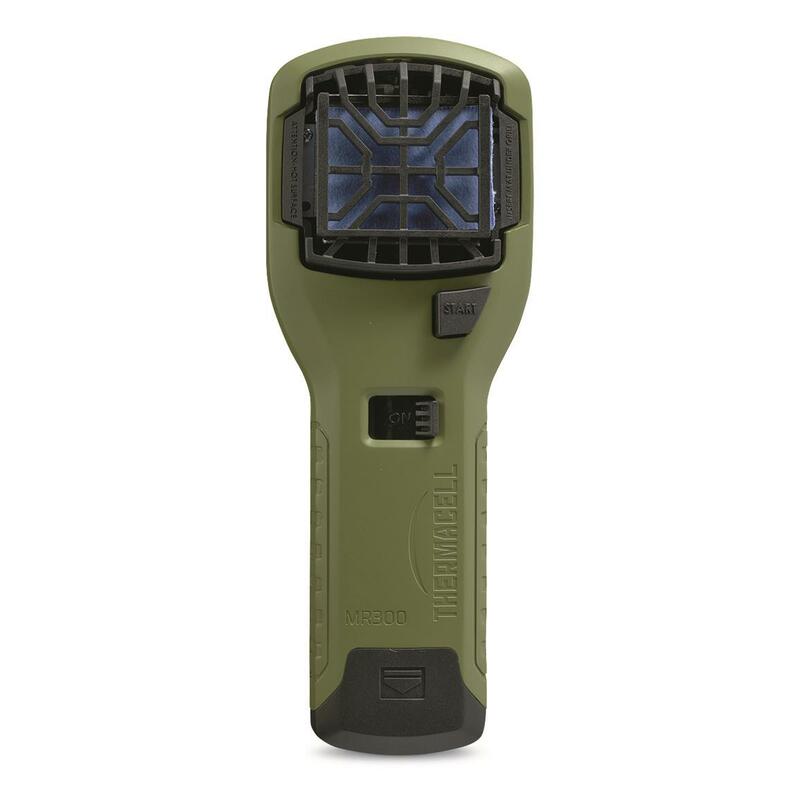 The MR300G is the newest Thermacell portable Mosquito Repeller boasting new and improved features. Its updated streamlined design has a built-in grip for easier handling. And re-designed grill makes for even greater repellent diffusion. A new slide-switch makes for easy one-handed operation. And a new rail system makes it a breeze to integrate with other accessories. 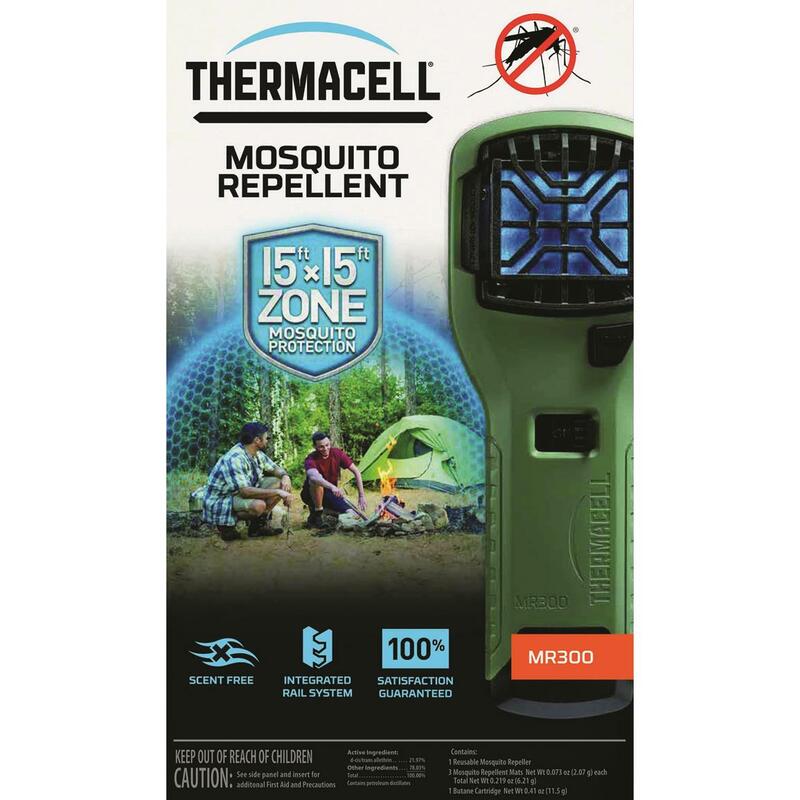 Dimensions: 7.8"l. x 2.9"w. x 1.8"h.
Thermacell Mosquito Repellent Appliance is rated 4.8 out of 5 by 957. Rated 5 out of 5 by Rusty12 from Awesome product I've been using a Thermacell for as long as they have been on the market. Could not hunt here in South Carolina without one. I also use the table models on the deck all summer. Rated 5 out of 5 by Depfish from Nats in SC! I would not be able to stay outside past 4 pm if I didn't have my portable Thermacell. On cooler days and late afternoon the nats here are unbearable. Since getting my Thermacell they do not bother me as long as I have it on me and running. Great tool! Rated 5 out of 5 by DB547 from Keeps skeeters away Using thermacell for 5 years now, only wish our government functioned as well as this product. Have used in many Florida native swamps, saved my a$& many times. Rated 5 out of 5 by Dvlanse from A must have during early season hunting! I purchased this item prior to Bow Season. The opening day was warm. I deployed my mosquito repeller in my treestand and kept the mosquitos and bugs away the whole day! Rated 5 out of 5 by Maryannj22 from Great Product, Wonderful support folks there. My husband and I weren't to sure if we should buy something like this, with chemicals and all. The Agent was helpful and offered documents and guidance so we can could make the best choice for our outdoor activities. Thank you very much for your awesome customer service people. Can't remember his name. Nice fellow. Rated 5 out of 5 by Gobbler from I have used this product for 15 or more years and am very pleased with it. I have used the camo color and the green. Rated 5 out of 5 by CML1 from Allows flexibility I have been using for a few years now. I prefer to use these instead of chemicals in my dog yard or on my dogs. Keep Fido plump full and hydrated on the go!